To decorate your hair clip, simply start by cutting off a 5 inch piece of wire. Fold the wire in half and than flatten the fold. Now, apply a few drops of super glue onto the tip of the folded part and insert it into the pearl. 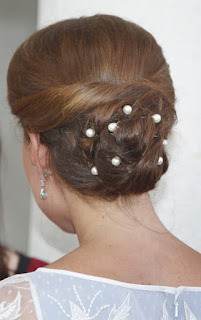 Allow it to dry completely. 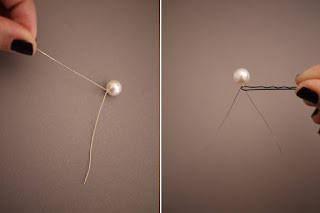 Spread the two wires apart. 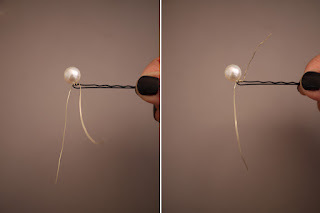 Lay the pearl on the hair clip and start wrapping one side of the wire around the top of the pin. 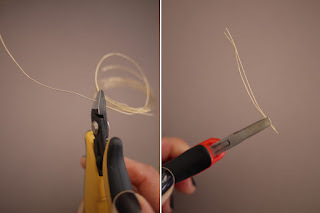 Continue to wrap tightly 5-6 times. 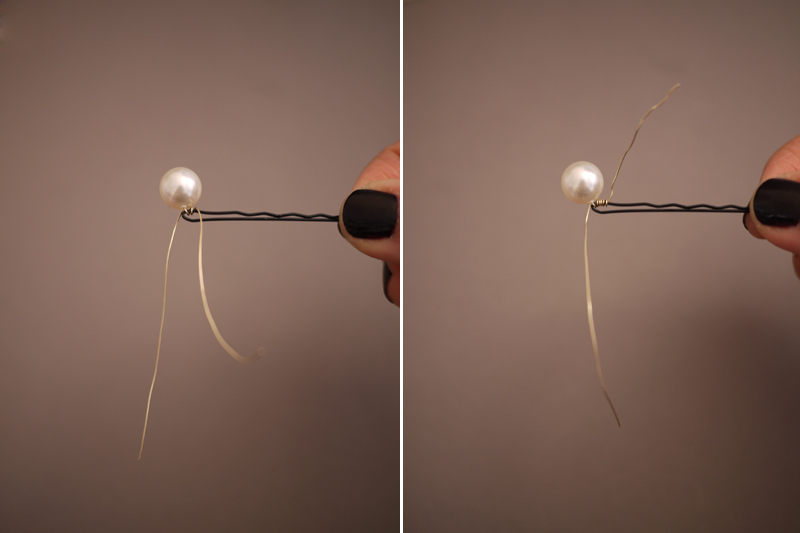 Now, secure the pearl by wrapping the other side around the bottom half of the pin. 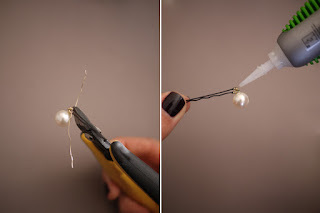 Cut the wire and reapply a few drops of super glue. 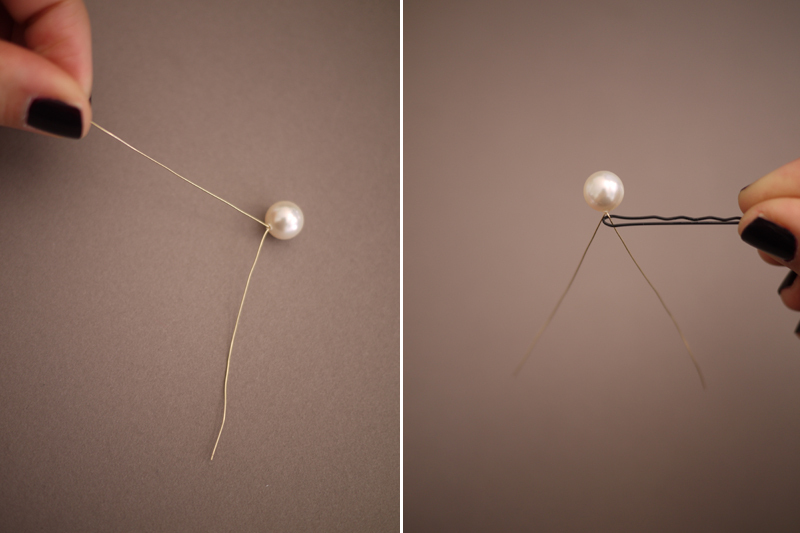 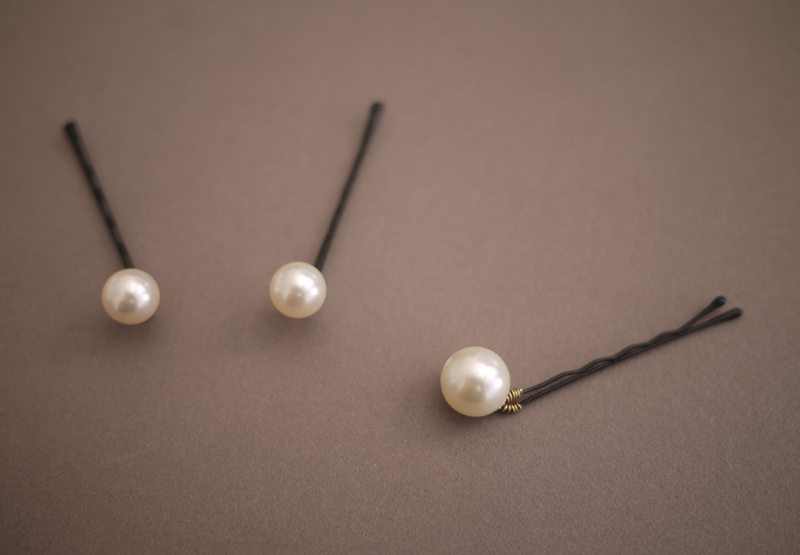 You now have successful handcrafted a pearl hairpin. 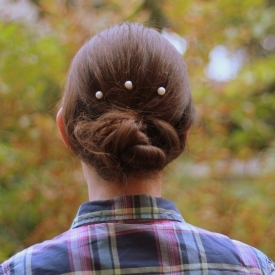 Tuck a few pins into an updo and adore the new hair accessory! 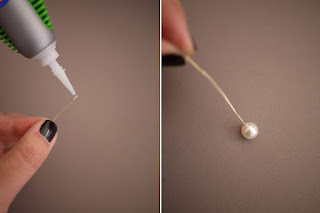 Watch out for our DIY section for more such posts.